Ring have announced a new additions to their local portfolio of smart home products in the form of the Ring Stick Up Cam Battery and Stick Up Cam Wired. “We’re excited to continue expanding the Ring of Security in Australia with Ring’s first indoor/outdoor cameras. Ring Stick Up Cams give neighbours maximum flexibility to position the cameras anywhere, regardless of power availability, to secure every corner of their property." "Every decision Ring makes is driven by our mission to reduce crime in neighbourhoods; it’s important to have multiple layers of home security, and the Stick Up Cam line offers affordable, easy-to-install security for both inside and outside of the home," said Jamie Siminoff, Chief Inventor and Founder of Ring. 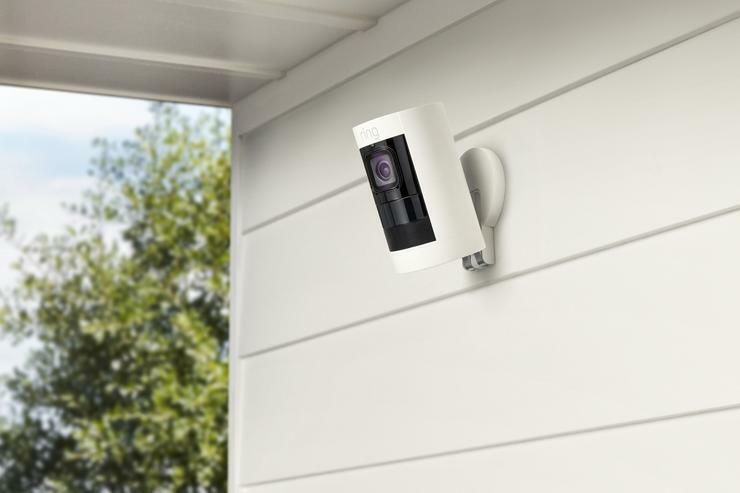 Like the naming suggests, the Ring Stick Up Cam Wired is a wired smart security camera that boasts 1080p HD video capture, a built-in siren, an IPX5 rating against water damage and two-way talk. The Stick Up Cam Wired supports both Power over Ethernet (PoE) and power via a Micro USB cable. Then, the Ring Stick Up Cam Battery ditches the wires for a rechargeable battery that Ring say is good for six-to-twelve months, depending on the usage. The Stick Up Cam Battery can also be connected to Ring's Solar Panel bundle as a power supply. Since Ring is owned by Amazon, both smart cameras also come with limited Alexa integration out of the box. Users will be able to access their Stick Up Cam feed and view the most recent motion event on smart displays like the Echo Show with simple voice commands. Ring say that additional Alexa functions will be added to Stick Up Cams later next year. The Ring Stick Up Cam Wired and Ring Stick Up Cam Battery are available from this week at an RRP of AU$319. Both are available via ring.com, Amazon.com.au, Harvey Norman, Bunnings, Officeworks, Bing Lee and JB Hi-Fi.